The Victoria Independent School District appreciates your dedication and support to the children and schools of our community. Your contributions throughout the years have helped us shape a brighter future for our students. For helping us achieve excellence across the 612 miles of our district, the Victoria Independent School District wants to say thank you! By becoming a member of the VISD Gold Card Club, you can continue to be an active supporter of our VISD sponsored programs and events, free of charge. 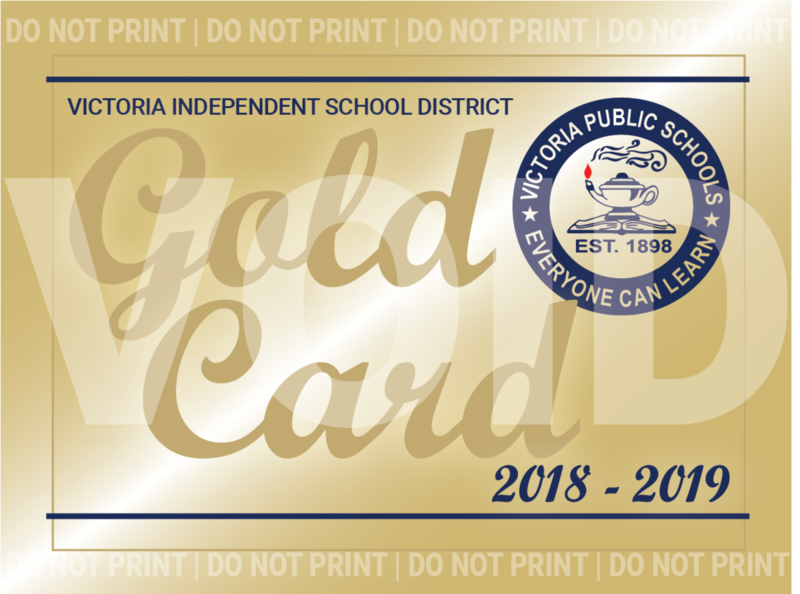 Upon registration, you will receive your VISD Gold Card. In order for the VISD Gold Card to be valid, the card holder must print his/her name on the back of the card. Identification may be requested upon entrance of an event.